Rafferty Capital Markets Richard X. Bove: Is it Time to Run and Hide from Bank Stocks? Richard Xavier Bove is the Chief Financial Strategist at Rafferty Capital Markets. 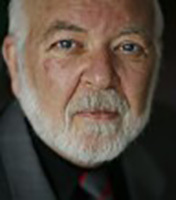 Mr. Bove began his career on Wall Street as a retail salesperson at legacy Eastman Dillon Union Securities in late 1965. He joined Wertheim & Co. in 1971 as an analyst covering the building and banking industries. Later, Mr. Bove became the Director of Research at C.J. Lawrence and Raymond James. In the mid-1980s, he returned to the analytical profession as a banking and financial analyst serving at Raymond James, Dean Witter Reynolds, Lehman Brothers and Ladenburg Thalmann, among other firms in his 53 years in the industry. In 2013, Mr. Bove joined Rafferty Capital Markets. In 2018, he was selected to be the firm’s Chief Financial Strategist. Mr. Bove has been interviewed on television over 1,500 times and his print interviews now number over 10,000. His views have been reported on in Europe, Asia and Latin America. He holds a bachelor’s degree from Columbia College where he graduated in 1962. He has been married 52 years and has seven children and 21 grandchildren. “Higher interest rates have a very negative impact on the value of financial assets. The latest quarterly report from the Federal Reserve indicates that, if it marked its securities portfolio to market, it would have had to lower the value of these securities by $66.5 billion, wiping out the $39.5 billion that is the Fed’s equity. In theory, the Fed is insolvent because it has no real equity. To read the rest of this 4,884 word interview, click here to see it on the Wall Street Transcript. Gold (Au) Mining: Is Now the Time to Go Long Gold Mining Stocks?